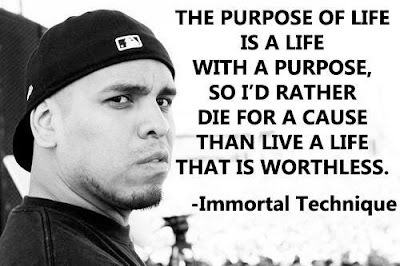 Immortal Technique (Felipe Coronel) is a revolutionary. Born in Peru, he immigrated to Harlem, NY and eventually ended up in prison. He left with a new focus on music. His aggressive style gained him instant notoriety as a battle rapper, and his first album was a word-of-mouth sensation. Unwilling to change his message for mainsteam, he remained completely independent. His subsequent projects have permanently found their way into the hearts and minds of truth seekers worldwide. Going behind the scenes, The [R]evolution of Immortal Technique is an exploration of one man's global journey to fight injustice through music.